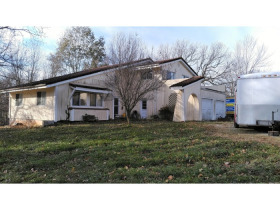 Auction Ends Fri., Dec. 14th 1:07 p.m.
2370 Bonnie Lee Lane, Rogersville, MO ONLINE BIDDING ONLY!! Auction Ends: Fri., Dec. 14th, @ 1:07 p.m.
Auctioneer will be on site on Dec. 14th for showing and questions. 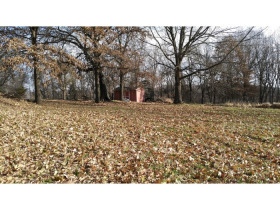 Looking for seclusion but just minutes to Springfield? Here it is!! Unique story and half, approx. 4,200 sq. ft. home is situated on approx. 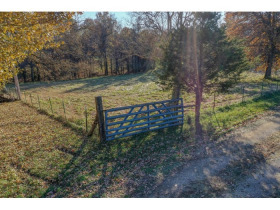 23.4 +/- acres of pasture with loafing shed, woods with a 100 yr. old tree and completely fenced in. Home offers 4 bedrooms, 2 full and (2) 3/4 baths and 2-car garage. Main floor has formal living room, formal dining room, large eat-in kitchen with lots of storage and counter space and large deck for entertaining or relaxing, family room with wood burning fireplace, bedroom, full bath, & laundry room. Second floor has large Master bedroom with deck, 3/4 bath and (2) spacious bedrooms and full bath. Partially finished walk-out basement has woodburning stove, kitchenette, workshop and office area. This home also has newer Geothermal heating system, (2) 200 amp service, maintenance free vinyl siding, clay tile roof, attic fan, and central-vac system. SOLD TO THE HIGHEST BIDDER REGARDLESS OF PRICE!! Don't let this one get away! 1. RECITALS: Buyer and Seller acknowledge the property is being purchased at public auction or at Sealed Bid Auction and both parties agree to comply with the terms and conditions set forth therein. 2. PROPERTY CONDITION: Buyer(s) will rely on his/her own judgment and inspection. Buyer agrees that the real property, together with all improvements, furniture or fixtures, if any, herein transferred is sold in an “AS IS – WHERE IS” condition. Seller and Auctioneer do not guarantee the accuracy of information obtained from outside sources. Neither Seller nor Auctioneer have made and make no warranty, express or implied, concerning the condition, quality or character of the property being sold. Seller agrees to deliver the real estate and improvements thereon, including mechanical systems, to Buyer in the same condition as exists on the date of this contract, ordinary wear and tear excepted. NO WARRANTIES, REPRESENTATIONS OR DISCLOSURES ARE MADE BY SELLER OR AUCTIONEER AND ANY IMPLIED OR STATUTORY WARRANTIES, TO THE EXTENT ALLOWABLE BY LAW, ARE HEREBY DISCLAIMED. 3. PAYMENT: A Buyer’s Premium of 5% will be added to the high bid. Please take this into consideration when bidding. At the close of the auction, the successful Bidder will be emailed a Real Estate Purchase Agreement Contract to be executed and returned to Mickey Duckett Professional Auctioneers, LLC within twenty-four (24) hours of the completion of the auction. 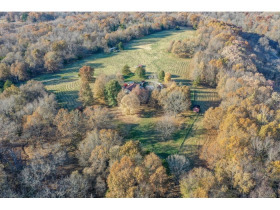 A 10% Earnest Money Deposit of the total contract price to be received by Mickey Duckett Professional Auctioneers, LLC within forty-eight (48) hours of completion of auction and may be made in the form of cashier’s check, personal or corporate check with Bank Letter of Credit. The entirety of the remaining balance is due at closing on or before Thirty (30) days from Auction Day. Per the Contract, time is of the essence; you should proceed to closing within Thirty (30) days. Possession shall be given to the successful Buyer(s) at closing. 4.  TITLE TO BE CONVEYED: Seller shall convey by General Warranty Deed, a title good in fact, merchantable, free and clear of all interest, liens, or other encumbrances. 5. TAXES: Real Estate Taxes shall be prorated as of the date of closing on the basis of the best information available at the time of closing based on a 365-day year. 6. EVIDENCE OF TITLE: Seller shall purchase and provide to Buyer a title search reflecting current title information. Buyer shall be responsible for the purchase of title insurance, if desired. Buyer and Seller shall share equally all costs of closing. 7. LIQUIDATED DAMAGES: Successful Bidders not executing and returning their Contract with Earnest Money deposit within Forty Eight (48) hours of the conclusion of the auction will be considered in default. If your closing is delayed for any reason, by you, as purchaser, or other parties working on your behalf, including any lender you involve, you may be declared in breach of this contract, forfeit all deposits made and could additionally be liable for any and all costs incurred by Seller and Mickey Duckett Professional Auctioneers, LLC incurred in a subsequent resale of the property. (a.) SELLER DEFAULTS: Buyer may either (i) recover such damages for breach of contract as provided by law, which shall include, but not be limited to, reasonable costs and attorney’s fees incurred and shall have the earnest money deposit returned, or (ii) proceed in law or in equity to enforce the contract. The Buyer agrees that any action, arbitration, award, claim, complaint, cost, damage, deficiency, demand, expense, indemnity, injury, judgment, liability, loss, obligation, penalty, and suit of every kind will be exclusively construed and governed in accordance with the laws of the State of Missouri, without regard to its conflict of laws principles. The exclusive jurisdiction and venue for any claim or controversy between the party’s is City of Ozark, Christian County, State of Missouri. and any auctioneer’s fees and expenses or (iii) declare the full balance owed due and payable and proceed by suit at law or in equity to enforce the contract, plus damages, including costs and reasonable attorney’s fees and auctioneer’s fees incurred. In the event the Seller elects to retain the earnest money deposit as liquidated damages, the parties acknowledge that such liquidated damages shall be divided evenly between Seller and Auctioneer. 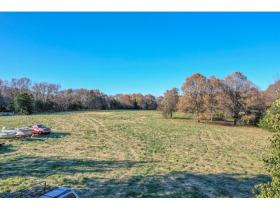 The Seller agrees that any action, arbitration, award, claim, complaint, cost, damage, deficiency, demand, expense, indemnity, injury, judgment, liability, loss, obligation, penalty, and suit of every kind will be exclusively construed and governed in accordance with the laws of the State of Missouri, without regard to its conflict of laws principles. The exclusive jurisdiction and venue for any claim or controversy between the party’s is City of Ozark, Christian County, State of Missouri. 9. OTHER CONDITIONS: Buyer(s) must be prepared to make a cash offer. There are no contingencies to this sale (i.e., financing, appraisal, repairs, or inspections). Therefore, you should be pre-qualified by a lender prior to bidding if you require financing. This property is being sold for cash “as-is, where-is” with a closing deadline. Mickey Duckett Professional Auctioneers, LLC reserves the right to remove or cancel the bids and or bidding rights and privileges of any party at any time deemed not to be in the best interest of the seller. The identity of all bidders will be verified, bidding rights are provisional, and if complete verification is not possible, Mickey Duckett Professional Auctioneers, LLC will reject the registration, and bidding activity will be terminated. All Mickey Duckett Professional Auctioneers, LLC Online Only Real Estate Auctions are timed events that have an auto-extend feature. Any bid placed within 5 minutes of the auction ending will automatically extend the auction for 5 minutes from the time the bid is placed. Example: If an auction scheduled to end at 6:00 p.m. receives a bid at 5:59 p.m., the close time of the auction automatically extends to 6:05 p.m. The auto-extend feature remains active until no further bids are received within the 5 minute time frame. 10. LOSS: The risk of loss shall remain with Seller until the date of closing. In the event of material loss from fire or other casualty prior to closing, Buyer may elect to accept the insurance proceeds, if any, and close, or terminate this Contract and have the earnest money deposit returned, less any expenses incurred on Buyer’s behalf. 11. ASSIGNMENT: Buyer may not assign this contract without the prior written consent of Seller. 12. BINDING EFFECT AND APPLICABLE LAW: This Contract shall be binding on and inure to the benefit of the parties and their respective heirs, personal representatives, executors, administrators, and/or assigns, and shall be construed and enforced in accordance with the laws of the City of Ozark, County of Christian, State of Missouri. 13. NOTICES: Unless otherwise specified, any notice required or permitted shall be in writing and may be delivered in person or certified mail postage prepaid, to the address or number specified by a party in writing. Notice shall be deemed made at the date and time of personal delivery or of received mailing. 14. ENTIRE AGREEMENT: This Contract constitutes the entire agreement between the parties. Neither party shall be bound by any terms, conditions, statements, or representations, oral or written, not herein contained. Each party acknowledges that in executing this Contract they have not been induced, persuaded, or motivated by any promise or representation made by the other party not herein contained. 15. LEAD BASED PAINT DISCLOSURE: Buyers of any interest in residential real property with a residential dwelling built prior to 1978 are notified that such property may present exposure to lead from lead-based paint. The Seller(s) of such property is required to provide the Buyer(s) with any information on lead-based paint hazards from risk assessments or inspections while in the Seller(s) possession and notify the Buyer(s) of any unknown lead-based paint hazards. Any inspections and assessments for the presence of lead-based paint and/or hazards by a buyer(s) must be made prior to auction; otherwise, buyer(s) waives the 10-day opportunity to conduct such risk assessment/inspection and shall acknowledge receipt of lead-based paint disclosure form. 16. INDEMNITY: Buyer warrants to hold Auctioneer harmless from, and indemnify Auctioneer against, any claim, action, suit, cost, damage, deficiency, expense, loss, or liability of every kind, including attorney’s fees and costs of defense, asserted by any person, real or artificial, or by any entity of government, against Auctioneer in connection with the offering or sale of property. 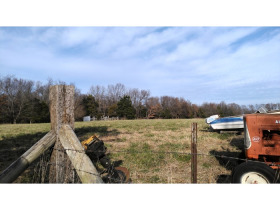 Auctioneer is representing the Seller(s) as a Missouri, Illinois or Indiana Licensed Auctioneer AND NOT as a Missouri, Illinois or Indiana Licensed Broker. 17. ADDITIONAL AUCTION INFORMATION: All information published, announced or contained herein was derived from sources believed to be correct; however, it is not guaranteed by the seller or the auctioneers. Personal on-site inspection of all property is recommended. The failure of any bidder to inspect, or to be fully informed as to the condition of the property, will not constitute grounds for any claim or demand for adjustment or withdrawal of bid, offer or deposit money after its opening tender. 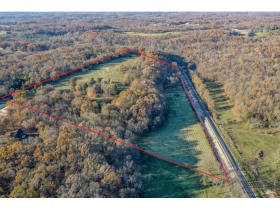 This includes but is not limited to public information such as easements, restrictions, zoning, right-of-ways, or any other information that can be obtained as public record in the appropriate county court house concerning subject properties. Mickey Duckett Professional Auctioneers, LLC and their representatives/agents do not represent the Buyer(s) in any manner and we must be completely loyal and faithful to our client. All negotiations must be conducted through Mickey Duckett Professional Auctioneers, LLC. Any announcements made from the auction stand take precedence over any/all other prior announcements either announced, published, posted, verbal, or communicated in any form. 18. TECHNICAL ISSUES: In the event there are technical difficulties related to the server, software, internet or any other online auction-related technologies, Mickey Duckett Professional Auctioneers, LLC reserves the right to extend bidding, continue the bidding or close the bidding. Neither the company providing the software, nor Mickey Duckett Professional Auctioneers, LLC, shall be held responsible for the failure of the software to function properly for any reason.